The poker world is focused on Barry Greenstein Tuesday as he gets inducted into the Poker Hall of Fame. On paper, whose career would you rather have? OTHER Noted philanthropist; author, highly-regarded cash gamer. Among top-6 most recognizable pros; countless appearances in small venues promoting game. Based on the above, you’d take Player B’s career, 100% of the time, right? Obviously, Player A is 2011 Poker Hall of Fame inductee Barry Greenstein. Player B is nominee-but-not-inducted Scotty Nguyen. Going on those critiera, wouldn’t you also take Nguyen’s resume for the HOF as well? We don’t want this to be viewed as a “Barry Greenstein is not Hall of Fame worthy” column. Because it’s not–and he clearly is. But was he more deserving than Scotty this year? Based on the above criteria and trackable results, it doesn’t look that way. The one argument people can make in favor of Barry is his participation in high-stakes cash games, something Scotty doesn’t really do at all anymore. The problem is–you can’t track those results. Live at least. Maybe Barry is up huge, but maybe he’s not. We don’t know. So it’s hard to use that as a measure for HOF worthiness. When it comes to Linda Johnson, that’s another story. We’ve heard arguments both ways, and we could go either way on it. Her career tournament earnings ($259,241) are less than Evelyn Ng‘s ($342,785). But she’s got a bracelet, and she participated in decent stakes cash games when virtually no women were around poker rooms. Johnson also purchased and published Card Player during poker’s dark ages (the 90′s) and has done much to promote and expand the game among women. However–Card Player didn’t really blow up until Barry Shulmanpurchased it. And if you look around poker rooms, it’s hard to make the argument that percentage-wise there’s been a huge spike in female participation in recent years when juxtaposed against the general growth of the game. Are Johnson’s contributions more worthy than the aforementioned Shulman, who has a WSOP Europe Main Event title, grew Card Player tremendously, and has been involved in ventures like Poker Superstars and now the Native American Casino Poker Tour? Or how about Tom McEvoy, who owns four WSOP bracelets (including a Main Event title), published a number of books that were the basis for many people learning the game, and helped get smoking banned from poker rooms? Again, we’re not saying that either Greenstein or Johnson shouldn’t be in the HOF–eventually. Both are true ambassadors of the game. But what their induction on Tuesday signifies is a “hey, let’s vote in the good ones” mentality in a year when, frankly, poker needs some respectability. Poker needs the good ones to win one. It’s an unspoken voter zeitgeist mentality, and we get it. Someone like Scotty is still being punished for his behavior at the $50k Players Championship final table. It could be years before he gets in. And given the year poker has had–this was definitely not the year he would. Someone like Tom will see his day, but it may be awhile too. But Barry and Linda? Beloved. Easy to like. The good ones. At the end of the day, you won’t meet one person who has a bad thing to say about either of them. There may be more deserving candidates, but this year, it doesn’t matter. Greenstein and Johnson were getting in. And that’s good for poker. A question: Do you feel the remaining eight nominees from this year’s ballot will eventually be elected into the Poker Hall of Fame? The “40 year-old rule” definitely helps some of the more borderline people getting in. We had made the case that Ivey and Negreanu should’ve been voted in last year, and both probably would’ve before they turned 40, taking away the chance for a guy like McEvoy. Out of the nominees this year, Marcel Luske and Jack McClelland are the most likely not to get voted. Annie will get in eventually, but it’ll be a long time (she’s getting penalized for personality the same way Scotty is). Jennifer Harman is questionable too unless she has a good “TV” year. Scotty is a lock, eventually. Juanda will get in once the stick of Tilt goes away, but still might be awhile. Huck is a lock eventually as well. Next year, hopefully the voters bring Scotty in and McEvoy. Although we’d like to see more outside-the-box thinking and electing more “pioneers” that weren’t necessarily players. 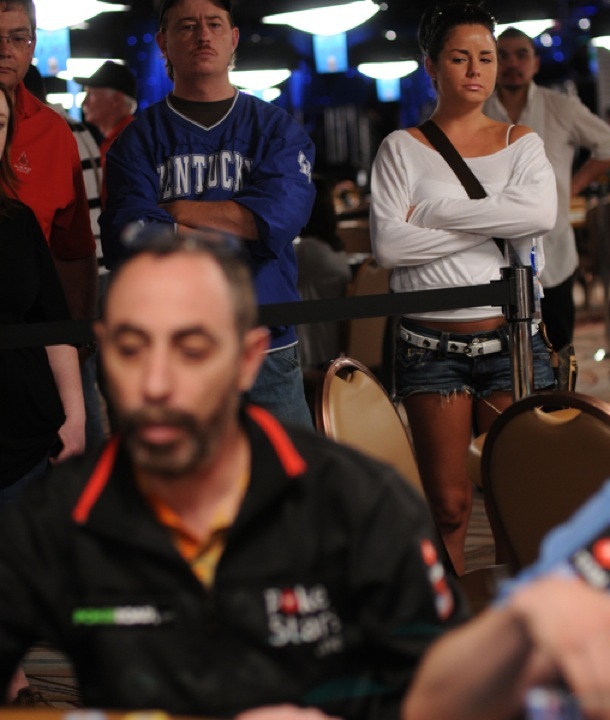 Here’s one: Tony G. Absolutely revolutionized poker media.